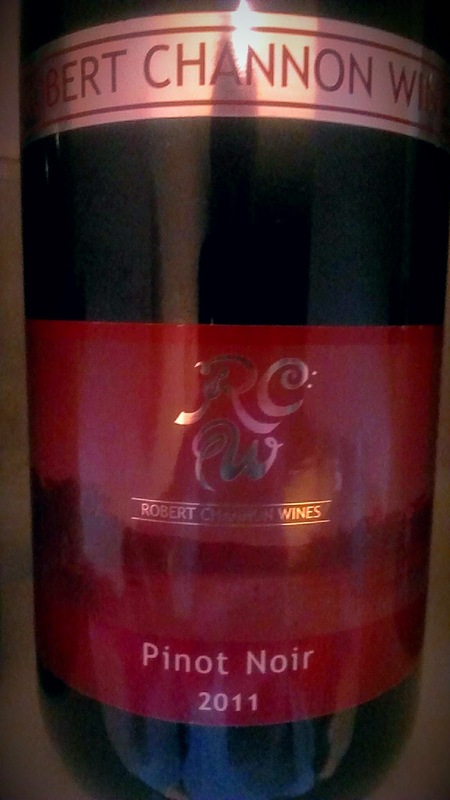 This is Robert Channon's third vintage of Pinot Noir and it was made by Stephen Oliver with estate grown fruit. Strawberry, earthy, gamey and twiggy aromas straight up plus a raw steak type character too. Quite weak in the mouth, the fruit disappears quickly along with some savoury spice. Soft tannins do hang around for the ride however. It's okay for the money but not great. I'll pass though. This wine was literally an after thought. There was a surplus of Pinot Noir remaining after making some sparkling so it was put to use here. The only problem is the fruit is not ripe enough. Morello cherry aromas exactly as you'd get them from the jar, along with fresh raspberries and cold tea. There is also a twiggy character. Only 10% alcohol, it's quite green and stemmy in the mouth with tight, bitey and tart acid. Sure it is varietal but the polish is lacking. But hey, it was an after thought. Get the fruit right and I reckon this could be going somewhere. Not a wine I would be buying. It's quite average. I liked this wine. A lot! So much so I just wanted to drink it and not write about it. Will it win gold medals? Probably not. Will it win lots of fans, hell yeah! If you are looking for something oozing drinkability with a little point of difference, perhaps your search ends here. And let's face it, it all comes back to whether a wine has that drinkability/smashability factor. This does and then some. Made with 40% whole bunches, what you get is sleek and damn fine to drink. All the fruit comes from the Clare Valley and is a blend of 70% Shiraz and 30% Malbec. 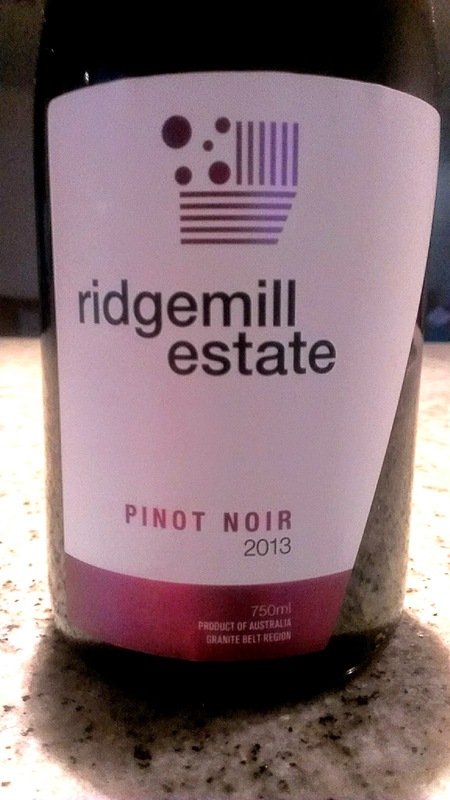 Opening with red liquorice type aromas and purple flower florals, this is jam packed with juicy red fruits and plummy Shiraz along with some mulberry and blueberry bobbing up. Not too dense but with a muscular kick, all this is tied together by a dash savoury goodness and soft acidity. A great match for beef dishes or just to smash with good friends. Hands down a winner for me. Step right up and rip right in! A very good Cabernet this, made in the traditional Coonawarra style. Black berry and red capsicum aromas flow through to the palate. Thrown in oak for 18 months, it has excellent length and balance. The oak is used well with the fruit still sitting firmly on the front foot. After a while the wine settles into a neat groove and tosses up some savoury dried herbs. Interestingly enough the wine is sealed with Diam cork. It's the first cork I've had to pull from a sample bottle in a long time. When I asked Managing Director John Rymill why it was used, his reply was simple. "There's two reasons: there's something about cork which gives a sense of special occasion and ceremony, and the wine ages differently with cork. Aging with stelvin keeps the wine fresher for longer but cork gives the chance for some oxidative aging to take place." Readily available via retail and on premise, this drop has been a favourite for the last eight years on the list at Sydney's Rockpool. I'd love to peer over the shoulder of Michael Papps during vintage while he is plying his trade. He just seems to have a knack of delivering gems. Here's another. Coming from Greenock on the western side of the Barossa, this Shiraz is plump and juicy. Deep plum and black fruits get the ball rolling. Add a scattering of red fruit, dark chocolate and spice, tip in some slight oak char and the stage is set for a scream. Tremendously smooth and very well rounded, the fruit just hums. Expect the usual alcohol (14%) from a Barossa red, but you certainly don't feel you need a knife and fork to get through it. As with many of the Yelland & Papps wines, this is ready to go now but will kick on for a decade. So juicy and so delish! Big on fruit and big on taste but the price sets this free. Tremendous drinking now and will cellar medium term. By why wait? Juicy black fruits and mulberries explode here. A chip or two of chocolate and nicely integrated oak are all wrapped up by silky smooth tannins. Roast lamb and this would make great friends. It can be found around the traps for under twenty bucks...bargain! After ripping into into this, you gotta wonder why more punters don't explore the wonders of Mataro. But this is a variety with an identity crisis of sorts simply because it hides behind the guise of three names, yet all three are the same: Mataro, Mourvedre and Monestrell. This is a very good example of the variety and priced nicely too. Much Mataro is priced above the thirty dollar mark, so this is a handy starting point for those willing to give it a crack. Sourced from a single vineyard there's a little sweet raspberry and lots of cherry ripe and plummy fruit. Great depth and mouth filling with neat earthiness plus a lick of spice. Soft fine tannins to finish which are a little drying but only encourage another sip. A quick internet search reveals this can be picked up for around $22. Would I buy it, yes sir! An excellent example that defies the theory some hold that all Rieslings are sweet. Nothing affirms this more than the three bold letters emblazoned across the front of the bottle, DRY. A fresh squeeze of lemon and a pretty scent of little white flowers are followed by river stone and citrus goodness. Crisp and cleansing with a chalky finish, this is banging for twenty bucks. I suspect you'd find it a little cheaper around the traps. Fish and chips and a bottle of this at the beach... Yes please! Chilly nights call for something warming and a fortified easily fulfills that criteria. 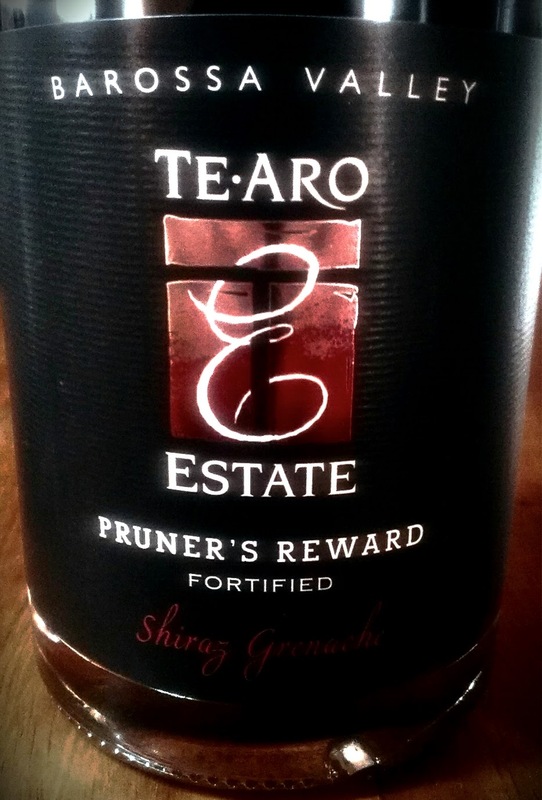 This fortified 50/50 blend of Shiraz Grenache from the Barossa Valley has been blended away from nine year old barrels. Brand Ambassador Todd Rowett says he happily left them in the shed to do their thing. And the final result is impressive. Super soft and generous with dense Christmas cake and sultanas. Toss in some orange peel, a lick of toffee and some gentle rancio, the delivery is thick and lip smackingly delicious. Five percent fortified muscat has added a slick sweetness sweeping across the very long and what seems to be a never ending finish. Kick the slippers off, undo the belt a notch or two and sit back and enjoy. A reliable drop which will go even better with the smell of a BBQ sizzling away nearby. Forest fruits, cherries and blackberries headline the show with some solid back up from spicy black pepper. Medium bodied, the fruit has good weight and hangs around nicely providing a decent length which is juicy and soft. A good wine which turns into a respectable bargain when discounted below the RRP. There's something about this wine I just can't put my finger on. It's a good drink but nothing flashy. But something just appears to be holding it back. Interesting aromas are tossed up including a creamy Camembert cheesey thing but that then flies off to a citrusy angle via lemonade fruit. The cheesy thing moves on after a couple of days and the citrusy character holds firm. Under all that sits some yellow fleshy peach in a big cozy chair with a hint of buttered toast. Down the hatch and those peachy characters shine a little brighter along with some cashew nuttiness. The wine is very mid palate focused. A chat with winemaker Craig Thompson revealed this is the type of Chardonnay he is striving to make. "I'm aiming for the next 'next generation' Chardonnay, back towards balance whilst retaining aromatic freshness." I get what he is trying to achieve but at the same time I don't. But hey, that's just me. I'd have a glass of it but not much more. It doesn't match the $35 price tag in my opinion. Tell you what though, this is a label to watch. And watch it closely. If Craig's 2013 Pinot Noir is any indication, this is a winery on a very steady rise. This is type of wine makes you feel like you have cheated someone and not paid what it is worth. Hard to believe this can found around the traps for the $16/17 mark. You'd be happy to part with much more than that for the quality delivered. Loaded with cherries, plums and mulberry fruit, this is mouth filling stuff. There's a shake or two of black pepper, the fruit is moreishly juicy, and the finish is super smooth and deliciously long. Bargain hunters, get it in your trolley! I’ve seen it as cheap as 15 bucks! This is an excellent wine worth keeping an eye out for. Take a whiff and you get a gentle dusting of black pepper, dried herb, raspberry and strawberry aromas. Soft and inviting. Coming from 45 year old vines, generous fruit is dominated by raspberries which is super smooth and balanced beautifully. There's some jube lolly type sweetness at the death followed by a long finish begging for another top up. Cellar for the medium term, but there's no reason why you can't rip into this now. Only 1600 bottles produced and they'll be sure to run out quickly. Having spent 22 months in oak, this is a full bodied bodied Cabernet which I found needs some air. Blackberries and some mint dictate terms here with a sprinkling dried herb and cedery oak. The oak let's the fruit sing. I preferred this on the second day so a little more time in bottle won't hurt. An easy drop to have with a casserole or sausages. I've made no secret in the past that I'm a bandit for a great GSM and this wine from Rosemount is nothing short of excellent. I had the privilege of sitting down and tasting this wine with winemaker Matt Koch. His vision to produce wines which are more aromatic is clearly evidenced here. A blend of 71/19/10 respectively, every component of the blend stands up and pulls its weight, and better still, the final result delivers. Hang on, it over delivers! A hint of lipstick, raspberries and cherries on the nose followed by a handful of earthy goodness. These bright aromas followed by generous fruit with a lick of savoury herbs and spice. Superb depth finishing with a long and super soft finish. An absolute delight to drink. The versatility of this wine is what jumps out for me. A blend of Merlot, Cabernet and Cabernet Franc, it will easily suit a range of food. Have with anything from BBQs to your Sunday roast. Powerful black fruits and plums leap from the glass along with some clover and pepper spice. Soft and wonderfully smooth with some tannin grip and a tremendous long length. Often discounted below the RRP, it is readily available. A very good and reliable drop for the $$. A melting pot of cut grass, morning dew, asparagus, pineapple sage and passion fruit aromas. Quite fresh and bright. Tip it down the hatch and the fruit to follow is a bit flat, lacking the vibrancy suggested from the aromas. Crisp acid is followed by a tart under ripe apple finish. Not my type of wine. This Shiraz proves that Coonawarra is not all about Cabernet Sauvignon. Medium bodied, black fruits and yummy mint jostle about delivering a vibrant wine with a grippy tannin finish. A little drop of Viognier has been thrown in to lift the aromatics. It does the job too. Have with a steak and a big smile is sure to follow. Deep are dark, this is a gutsy type with a sweet fruit edge. Dark cherry, mulberry and plum fruits swing around nicely. Attractive herbal aromas are highlighted by obvious coriander and some cedary oak adds further interest. A wine with super soft length and super smooth tannins. 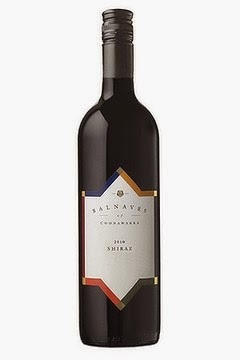 Very moreish and good value, often discounted to around $15. Simply sublime. An absolutely banging blend. Graciano, Mataro and Grenache have been thrown together with tremendous effect. Medium bodied, the Graciano adds some attractive aromatics and pepper spice along with soft, generous fruit. Structure and depth along with earthy characters are delivered courtesy of the Mataro and some sweetness right at the death via the Grenache. Super smooth on the palate, it's almost as though the wine washes in like a wave hitting the beach and then recedes slowly, only to rush back again bursting with flavour. That wash of deliciousness and soft floral aromas were the highlights for me. Drink with the lights on, it creeps up on you! Get ready to stand and applaud. I wish I had a gallon of this stuff. This is Craig Thompson's first Rorschach (say: raw shark) vintage, and damn, what a mighty fine entrance he has made. In January I had the privilege of spending some time in Mornington with some good mates. During this trip we sampled several 2013's out of the barrel which caused all sorts of Pinotgasm excitement. Whilst this label wasn't part of those sneak peaks, it certainly maintains the high standard already set. Delicate and soft fruits are layered across a generous palate. The word moreish keeps buzzing in my head. Think cherries, some stewed strawberries, and even twigs framed by supple tannins. A very engaging type. Dig a little deeper and I picked up some ever so slight coffee ground type characters on day one only for them to hibernate the days following. Smart labelling immediately caught the eye and the gear inside backs it up deluxe. As the label says, "The ideals of balance, texture and length have inspired this pure expression of Mornington Peninsula Pinot Noir". Yep, those boxes have all been ticked.